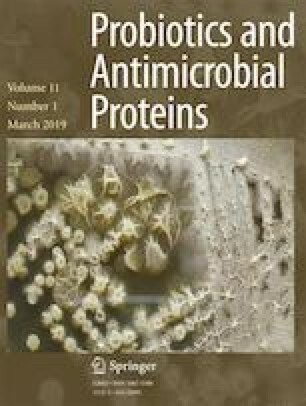 In the present study, 14 different plantaricin-encoding genes of pln loci were studied and compared to available sequences from public domain database of probiotic Lactobacillus plantarum strains. Based upon the presence and absence of selected genes, pln locus was grouped into eight clusters. Further, quantitative real-time PCR (qRT-PCR) analysis for seven genes has discriminated the complex pln locus into five types which includes WCFS1 (in Lactobacillus plantarum subsp. plantarum MCC 2976 and MCC 2974 and Lactobacillus paraplantarum MCC 2978), closely related to J51 (in Lb. paraplantarum MCC 2973 and MCC 2977), J23 (in Lb. plantarum MTCC 5422), NC8 (in Lb. paraplantarum MTCC 9483), and a new E1 type (in Lb. plantarum subsp. plantarum E1). It was observed that the plnA, EF, NC8βα, NC81F, NC8HK, and G were expressed in E1 strain. Further, southern hybridization confirmed the chromosome-encoded plantaricin in Lb. plantarum group (LPG) strains. Several PCR assays and DNA sequence analysis of the regions amplified in pln loci of E1 isolate suggested a hybrid variant of NC8 and J51 plantaritypes. This indicates the wide distribution of plantaricin with remarkable variation, diversity, and plasticity among the LPG strains of vegetable origin. Further, the selected strains were able to reduce the growth of Kocuria rhizophila ATCC 9341 by 40–54% within 6 h of co-incubation under in vitro pathogen exclusion assay. These isolates also possessed cholesterol-lowering and antioxidant activity suggesting their application in the development of functional foods. The online version of this article ( https://doi.org/10.1007/s12602-017-9336-0) contains supplementary material, which is available to authorized users. We express our gratitude to the Director, CSIR-CFTRI, for encouragement and facilities. SMD extend her thanks to SERB-Department of Science and Technology, New Delhi, for endorsing the study under start-up grant scheme (Project No. SB/YS/LS-353/2013).